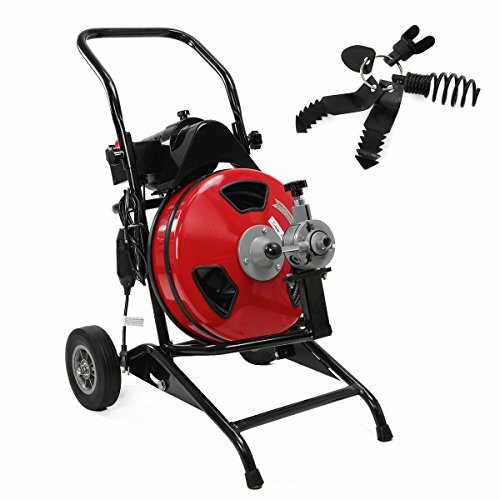 STKUSA 1/2'' x 100' Sewer Snake Drain Auger, Commercial Cables Cleaner w/ 4 cutters by STKUSA at In The National Interest. MPN: 45093. Hurry! Limited time offer. Offer valid only while supplies last. View More In Odor & Drain Maintainers.